Ships today if you order in the next 9 hours 18 minutes. 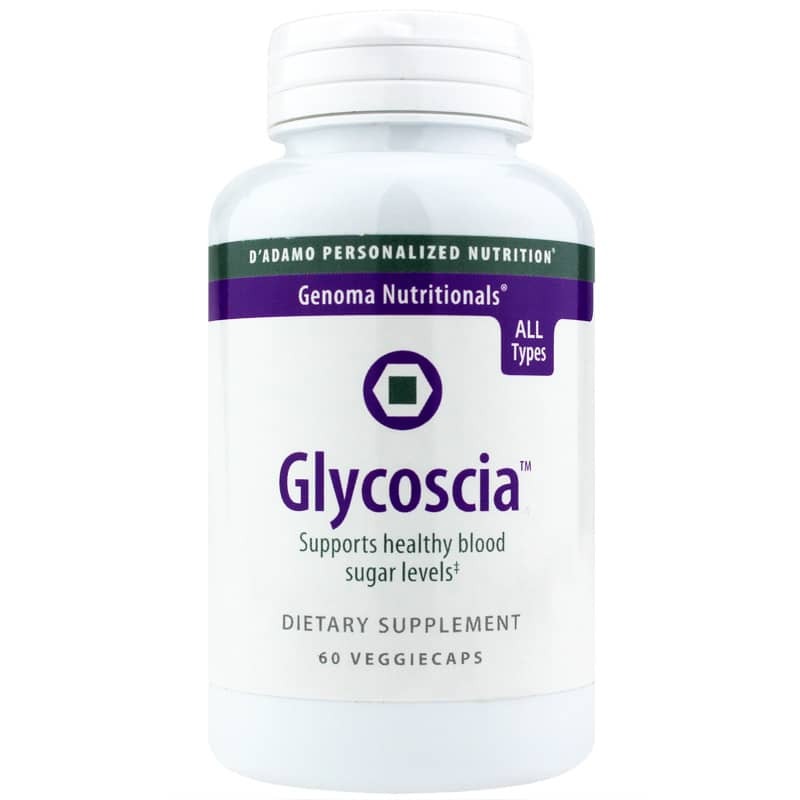 Glycoscia from D’Adamo Personalized Nutrition is a clinically studied herbal supplement formulated with Ayurvedic plant-based ingredients that help maintain healthy blood glucose levels already within the normal range. 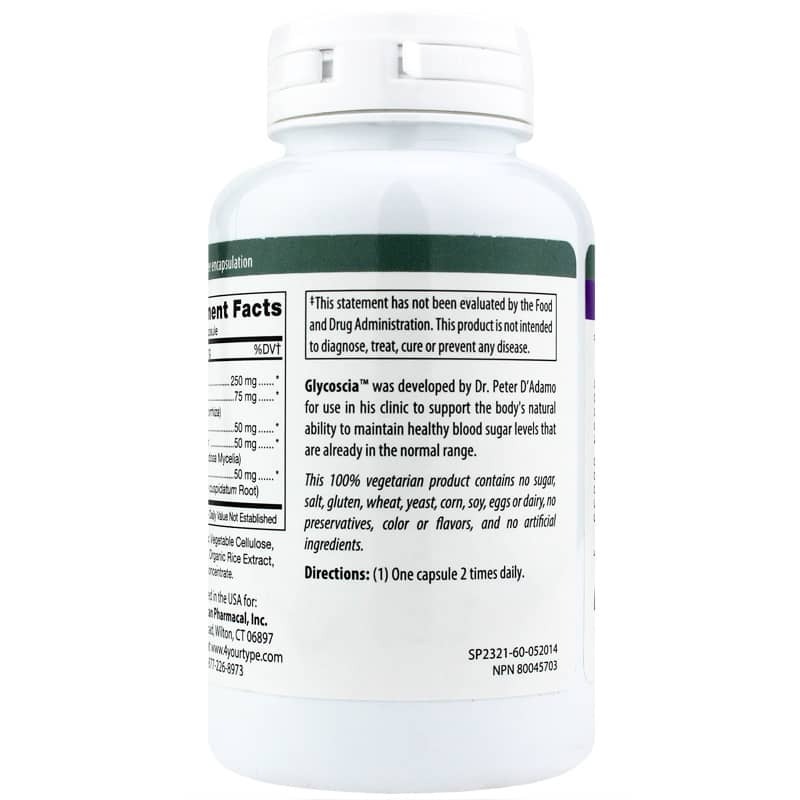 Some of the key ingredients in this supplement include quercetin, a flavonoid antioxidant found in plant foods; Salacia extract, an Ayurvedic herb that may support metabolism and weight management; and Red Sage root, a popular herb used in Traditional Chinese Medicine for circulatory health support. 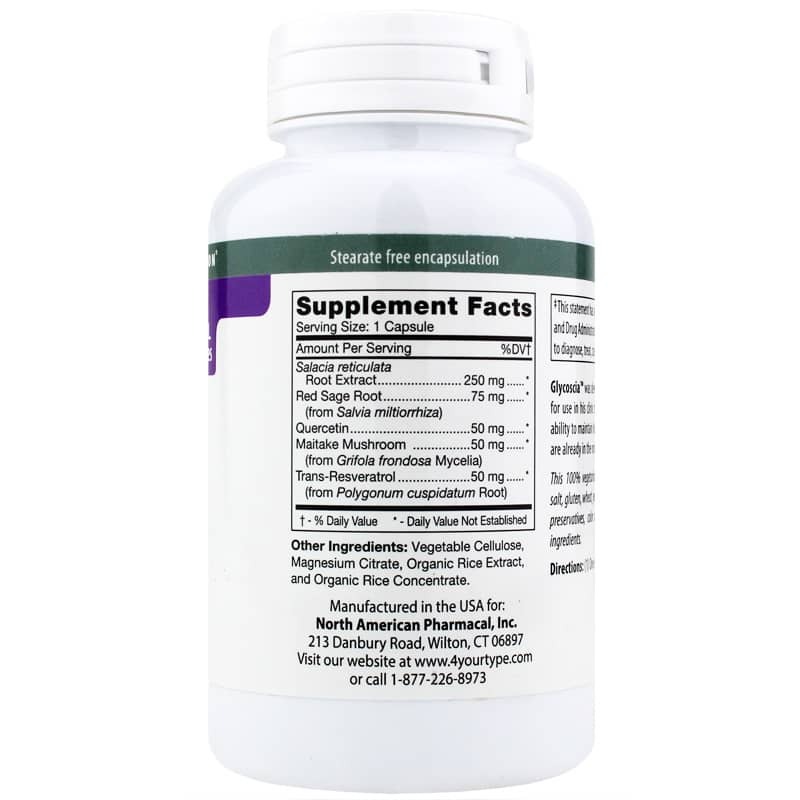 The formula also includes maitake, a major culinary mushroom used in Japan for blood pressure regulation support and weight management support; and trans-resveratrol, an antioxidant from polygonum cuspidaum root. Contains NO: sugar, salt, gluten, wheat, yeast, corn, soy, eggs, dairy, preservatives, color, flavors, artificial ingredients. 100% Vegetarian.